What's New in Linux Mint 17.1 aka Rebecca? Linux Mint has made it a breeze to transition from Windows or the Mac world to Linux. As one of tens of thousands of users who have installed and use Linux Mint 17 on a daily basis, I must say I’m quite pleased with the stability and smooth functioning of the distribution. On my old Dell Optiplex 780 (4GB RAM, Core 2 Duo processor), Linux Mint 17 is stable and I’ve had only the occasional mouse/screen freeze that forces me to do a hard reboot. So I was pleased to learn that an update to Linux Mint 17 (Qiana) is in the works. Instead of starting with the letter ‘Q,’ the update Linux Mint 17.1 is codenamed Rebeccca. Codenames on the 17.1 series were allowed to break the tradition. They won’t start with a Q, as they should, but with an R instead. It wasn’t easy to find a codename starting with Q initially, and with the move to LTS it’s getting harder and harder as the series might get a total of 4 or more releases. Rebecca is of Hebrew origin and its meaning is “to bind”. The name was borne in the Bible by the wife of Isaac. It was also made famous since 1938 by the book from Daphne du Maurier entitled “Rebecca” and adapted into a movie by Alfred Hitchcock in 1940. Despite its “R” name, Rebecca will share the same base as Qiana. 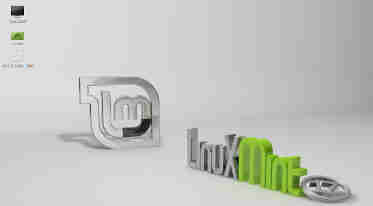 Linux Mint 17 users will have the choice to upgrade or not, and that upgrade will be both easy and safe. While each point release of Linux Mint 17.x series will bring new features on the desktop layer, keep in mind that the package base will be the same. There will be many things new in Linux Mint 17.1 (Rebecca), which could come as early as late November 2014. Although some Linux Mint users have been clamoring for a kernel upgrade in 17.1, it’s unclear if that will happen. The current plan is for newer kernels to be made available if there’s a big demand from the user base. Although kernel 3.13.0.35 is available via the update Manager, the recommended kernel for Linux Mint 17 is 3.13.0.24. New users can download the updated Linux Mint 17.1 ISO upon release. Existing Linux Mint users will get a notification alert of the update and can install the update via the alert. For users worried about long-term support, Linux Mint developers have assured that the entire 17.x series will share the same support time, and end-of-life in 2019.